Danso Gordon is a Canadian actor. Sliders is an American science fiction and fantasy television series created by Robert K. Weiss and Tracy Tormé. It was broadcast for five seasons between 1995 and 2000. The series follows a group of travelers as they use a wormhole to "slide" between different parallel universes. Tormé, Weiss, Leslie Belzberg, John Landis, David Peckinpah, Bill Dial and Alan Barnette served as executive producers at different times of the production. For its first two seasons it was produced in Vancouver, British Columbia. It was filmed primarily in Los Angeles, California in the last three seasons. Hang Time is an American teen sitcom that aired on NBC from September 9, 1995 to December 16, 2000 as part of the network's Saturday morning program block for teenagers, TNBC. Created by Troy Searer, Robert Tarlow and Mark Fink, the series featured extensive cast changes throughout its six-season run, similar to its TNBC stablemate Saved by the Bell: The New Class. 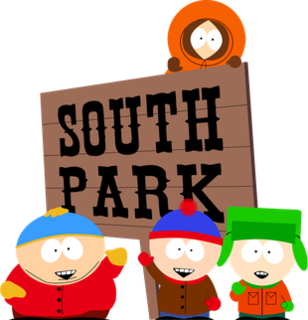 The show's title is taken from a sports term referring to the length of time that a player spends in the air. Hang Time won a Prism Award in 1999 for its accurate depictions of drug use in the season four episodes "High Hoops" and "Breaks of the Game". In a Heartbeat was a Canadian-American television series inspired by real life EMT squads whose staff consists of high school students in Darien, Connecticut. The series follows the lives of several teenagers who volunteer as part-time EMTs while going to school and trying to maintain their lives as normal teenagers. In Canada, the series was aired on Family Channel while in the United States it was aired on the Disney Channel. The series is fact-based, as there are teenage volunteer EMTs in service all across the United States. American History X is a 1998 American crime drama film directed by Tony Kaye and written by David McKenna. It stars Edward Norton and Edward Furlong, and features Fairuza Balk, Stacy Keach, Elliott Gould, Avery Brooks, Ethan Suplee, and Beverly D'Angelo. The film was released in the United States on October 30, 1998, and was distributed by New Line Cinema. Dear Wendy is a 2005 crime film directed by Thomas Vinterberg and written by Lars von Trier. It stars Jamie Bell, Bill Pullman, Michael Angarano, Mark Webber, Danso Gordon, Novella Nelson and Alison Pill. It was an international co-production between Denmark, Germany, France, and the United Kingdom, filmed on-location in Copenhagen. Gordon James Ramsay Jr. is a British chef, restaurateur, writer, television personality, food critic, and former footballer. Born in Johnstone, Scotland and raised in Stratford-upon-Avon, England, Ramsay's restaurants have been awarded 16 Michelin stars in total and currently hold a total of 7. His signature restaurant, Restaurant Gordon Ramsay in Chelsea, London, has held three Michelin stars since 2001. First appearing on television in the UK in the late 1990s, by 2004 Ramsay had become one of the best-known and most influential chefs in British popular culture. Sunwoo Entertainment, Co., Ltd. (㈜선우엔터테인먼트) is an animation studio located in South Korea. It was established as Sunwoo Production Inc. in 1974. It began by producing animation mainly for Disney Afternoon TV series, such as Chip 'n Dale Rescue Rangers and Darkwing Duck, and soon expanded by providing animation services for Nickelodeon shows like Rocko's Modern Life and Invader Zim, and other series like Duckman on USA Network and Fatherhood on Nick at Nite. Patlabor: The TV Series (機動警察パトレイバー) is a 1989-1990 anime television series. It was created by Headgear, animated by Sunrise, and based on the Patlabor anime franchise. The story focuses on Second Special Vehicles Division (SV2), a group of Patlabor policemen who fight and investigate crimes. The TV series is an alternate timeline to the original Patlabor OVAs and films, with an all-new origin story. Bryan Gordon is an American television and film director, writer and producer. He is primarily known for directing comedy television shows. Philip Jackson is an English actor, known for his many television and film roles, most notably as Chief Inspector Japp in the television series Agatha Christie's Poirot and as Abbot Hugo, one of the recurring adversaries in the cult 1980s series Robin of Sherwood. The Simpsons' sixteenth season began on Sunday, November 7, 2004 and contained 21 episodes, beginning with Treehouse of Horror XV. The season contains six hold-over episodes from the season 15 (FABF) production line. Season 16 was released on DVD and Blu-ray in Region 1 on December 3, 2013, Region 2 on December 2, 2013, and Region 4 on December 11, 2013. Mamadou Danso is a Gambian professional footballer who plays as a centre back for Malaysia Premier League club UiTM. Toby Proctor is a Canadian actor and voice actor. He voiced Darien/Tuxedo Mask in the English dub of the Sailor Moon anime in 54 episodes of the first two series. His other roles include Alex Flash Gordon in Flash Gordon and Copycat Ken in Ranma ½.
David McCoy Barrett is an American television director and producer. Dragon Ball Z is a Japanese anime television series produced by Toei Animation. It is the sequel to the Dragon Ball anime and adapts the latter 325 chapters of the original 519-chapter Dragon Ball manga series created by Akira Toriyama which ran in Weekly Shōnen Jump from 1988-1995. Dragon Ball Z aired in Japan on Fuji TV from April 26, 1989 to January 31, 1996, before getting dubbed in territories including the United States, Canada, Australia, Europe, India, and Latin America. It was broadcast in at least 81 countries worldwide. It is part of the Dragon Ball media franchise.